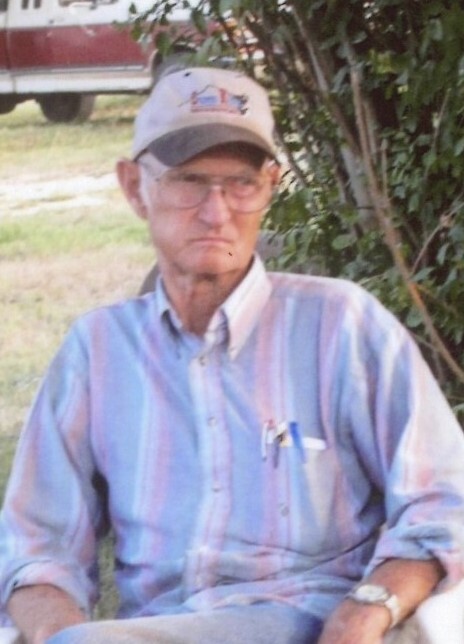 Alva Dean Blackwell passed away peacefully at his home in Braggs, Oklahoma on Saturday, January 19, 2019 at the age of 86. Dean was a plumber in Big Bear City, California until his retirement after 42 years. He was preceded in death by his wife, Ethel Blackwell; his parents, Alva and Margaret Blackwell; and his sister, Anna Faye Jackson. Dean is survived by his son, Billie “Bill” Dean Blackwell and wife Nickie Jo Blackwell of Braggs, OK; grandson, Nickolas Dean Blackwell of Braggs, OK; granddaughter Billie Jo Farris of Braggs, OK; great-granddaughter, Saige Violet Farris of Braggs, OK; brother, Eldon Lee Blackwell of Braggs, OK; sisters, Louise Hackett of Wichita, Kansas, Alma Jean Buchanan of Fargo, OK, and Betty Long of Braggs, OK; and many nieces, nephews, other family members and friends. Dean’s family will receive friends 5:30PM-7:30PM, Tuesday, January 22, 2019 at Cornerstone Funeral Home. A celebration of Dean’s life will be 2PM, Wednesday, January 23, 2019 at Cornerstone Funeral Home Chapel with his nephew, Rev. Jerry Harrison officiating. Interment will follow at Greenhill Cemetery. with Nickolas Blackwell, Michael Isbell, Brett Caple, Brian Walker, Taylor Mooreland and Steve Kelley serving as pallbearers. Honorary pallbearers will be Billy Hayworth and Jerry Brassfield.